Hello my most magnificent readers! I’m back with another installment of Fleeting Fancies. 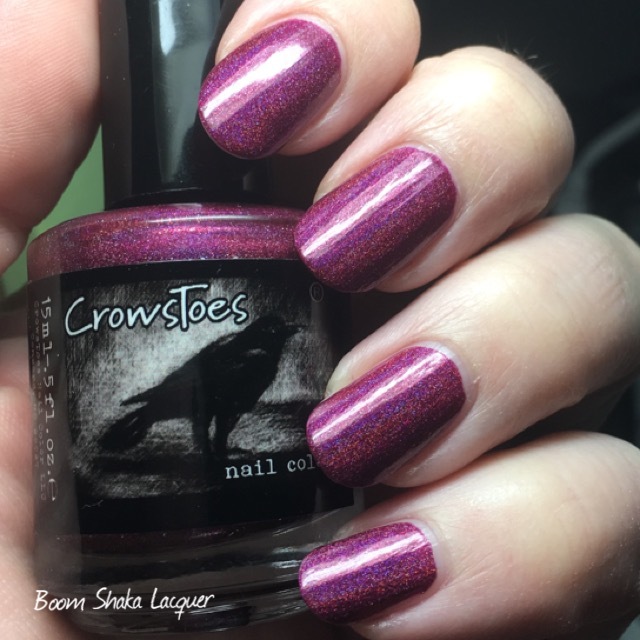 Today I’m going to show you two stunning Crows Toes polish that were store exclusives for Edgy Nails (a European Stockist). Recently, Madam Crow herself listed a small number of one of these as a “One and Done” limited edition on her site. I was lucky enough that my bestie, Glamour Granny, snagged one of these for me! I couldn’t not share it or the one I already had with you so here we go! 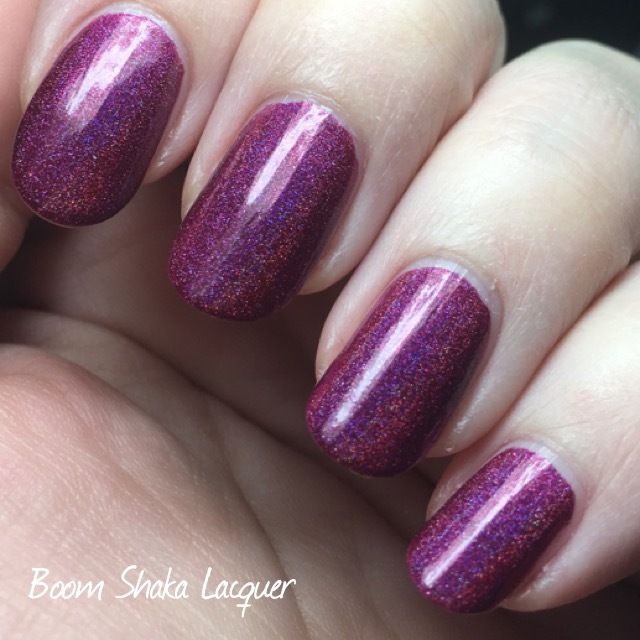 This stunner is a wine-red colored linear holographic. While I wouldn’t necessarily call this color red (definitely more burgundy or wine colored) it’s definitely drop-dead gorgeous. This is just the sort of shade that I think looks amazing on me. That could be why I’m always drawn to colors like this! The formula and application on this is just stellar. 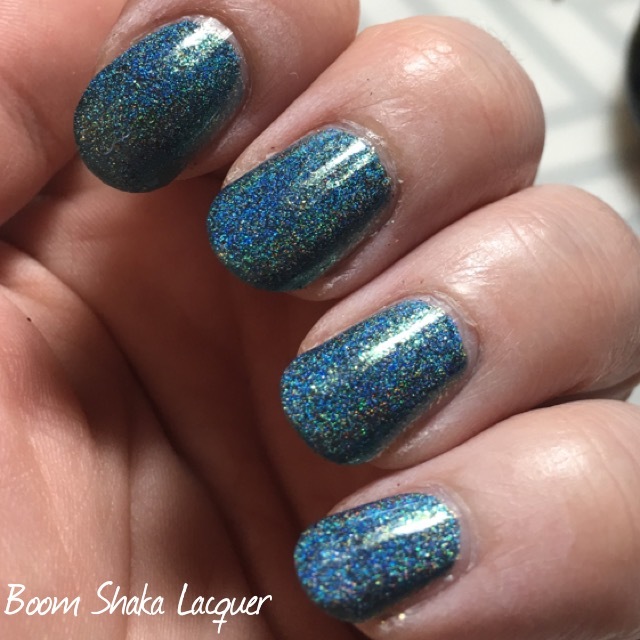 You can see a bit of the holographic arc in this picture but let me assure you that it is a knock your socks off holo in the right lighting! No streaks, drags, or problems to report with this one. Went on smoothly and in one coat! Pictures show one coat plus topcoat. Awwww yes! This is a gorgeous almost icy cerulean blue linear holographic with a whole ton of gold flakies mixed in for fun! Boy oh boy is the holographic arc in this one strong! It’s near blinding it’s so prominent. Definitely one of my favorite polishes to wear! Formula and application is delightful on this. It is a touch sheer at one coat but builds to opacity very easily in two coats. The flakies do not clump up and spread evenly across the nail created a golden sheen. This one definitely has a ton of depth and character. Pictures show two coats plus topcoat. It’s no secret I’m a big fan of Crows Toes and I’m sure you’ll be seeing more of them around here. You definitely need to follow Crows Toes on social media to keep up on all the things that are happening. 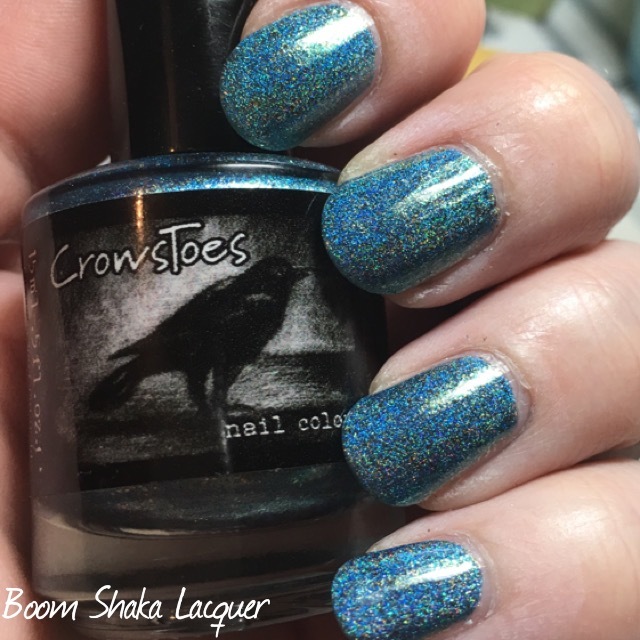 I’ll also include the links to the Official and Fan-run facebook groups for Crows Toes as well! Pertinent links below.